Registered address: Tillbridge Farm, Sturton-by-Stow, Lincoln, LN1 2DS. Like many Credit Hire Organisations, Accident Management businesses, and Insurers we pass information relating to claims to the VBASE database (VBASE) operated by Verius Risk Solutions Limited. The aim is to help us check information provided and also to prevent fraud. We will pass information relating to this incident to Verius Risk Solutions Limited for analysis as part of its risk assessment business. In dealing with this incident we may search Verius Risk. VBASE is also accessible by other clients of Verius Risk Solutions Limited and third parties with whom Verius Risk Solutions Limited contracts, other providers of data to VBASE, financial service providers and insurance industry in general for the purposes of risk assessment, identification, prevention, detection and management of fraud and other associated law enforcement purposes. We previously passed information relating to claims to the Netfoil database (Netfoil) owned and operated by Hill Dickinson LLP. Any information passed to Netfoil between November 2012 and November 2017 will be transferred to VBase. If you are dealing with this claim on behalf of an individual please ensure this information is brought to their attention. 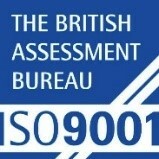 Magna Accident Services Limited holds the ISO9001 certification in Quality Management demonstrating that we ensure consistency and improvement within our systems leading to high levels of performance and customer satisfaction.